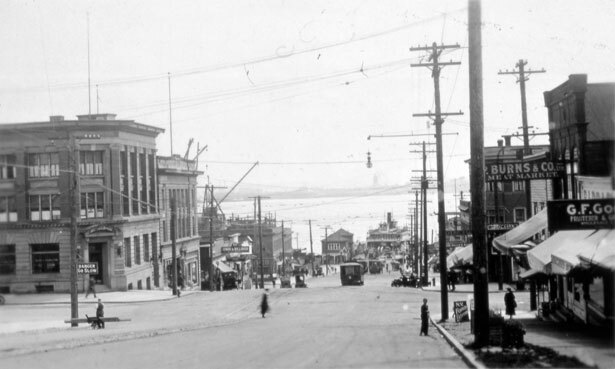 In 1906, the North Shore entered the modern age: streetcars began rolling up & down the streets, electricity and telephone service arrived, and Irwin & Billings opened their original office at the foot of Lonsdale. Founded by W.J. Irwin, Irwin & Billings was the first local office to offer personal and commercial insurance to the fledging community on the Burrard Inlet. As the community grew, so did the business. W.J. Irwin helped establish the North Vancouver Chamber of Commerce, served as Mayor of the City and sat on council for over a decade. It seems Irwin & Billings’ early success stemmed in no small part from their deep community involvement. For over Seventy years the Irwin family looked after the insurance needs of their friends, neighbours and fellow North Shore residents. Irwin & Billings moved to their current location at 1900 Lonsdale in the mid 1960’s and was then purchased by the Stewart Family in 1977. Throughout this time their essential core values remained the same. By keeping with up with changes in the industry, Irwin & Billings is able to provide North Shore residents with the most up to date insurance coverage available but without losing sight of what’s really important to people. In the competitive world of insurance, it’s an enormous accomplishment for a company to last for more than 100 years, even more amazing considering that they’ve been on the North Shore the entire time. 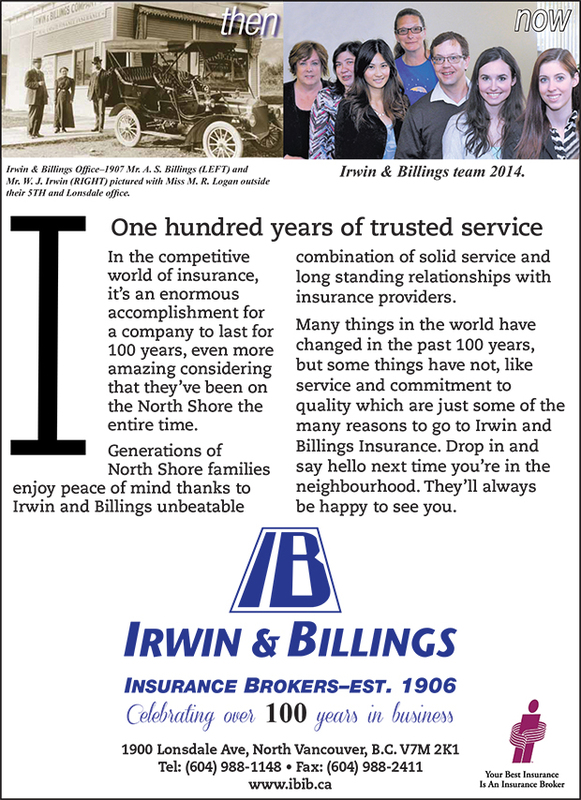 Generations of North Shore families enjoy peace of mind thanks to Irwin & Billings unbeatable combination of solid service and long standing relationships with insurance providers. Many things in the world have changed in the past 100 years, but some things haven’t: service, commitment to quality, and Irwin & Billings Insurance. Drop in and say hello next time you’re in the neighbourhood. We will always be happy to see you.